Pressure Cooker New England Boiled Dinner is a plain, delicious, stick to the ribs, piece of meat with colorful vegetables dug from the earth. My family has always enjoyed New England Boiled Dinner/Corned Beef and Cabbage all year round. The corned beef cooks away on the stove for hours and then veggies are added and it cooks even more. 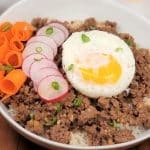 I’ve taken my families recipe and made this otherwise long cooking meal into mostly a hands off, 1.5 hour process, using the Instant Pot, Mealthy MultiPot or Pressure Cooker. What is New England Boiled Dinner? 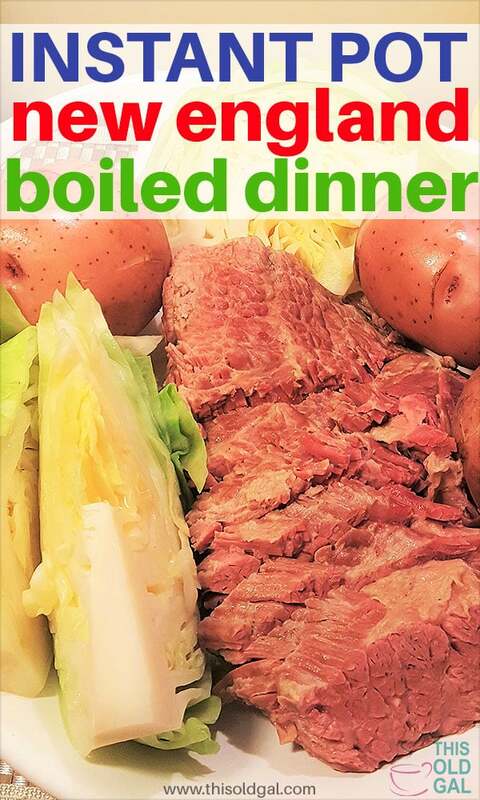 New England Boiled Dinner is just a big ole platter of food with the corned beef in the middle and various root veggies colorfully sprawled all around. It’s good food, which is not fancy, just down right delicious, comforting and satisfying. President Cleveland claimed it the best dinner he had in months, after taking over as president from President Arthur in 1885. You see, President Arthur enjoyed fancy food, like foie gras and charlotte russe. He was even known to add oysters to mac and cheese to fancy it up. We’ve got the plainest, squarest, clunkiest, and most wonderful meat and potatoes meal in America he proclaimed! 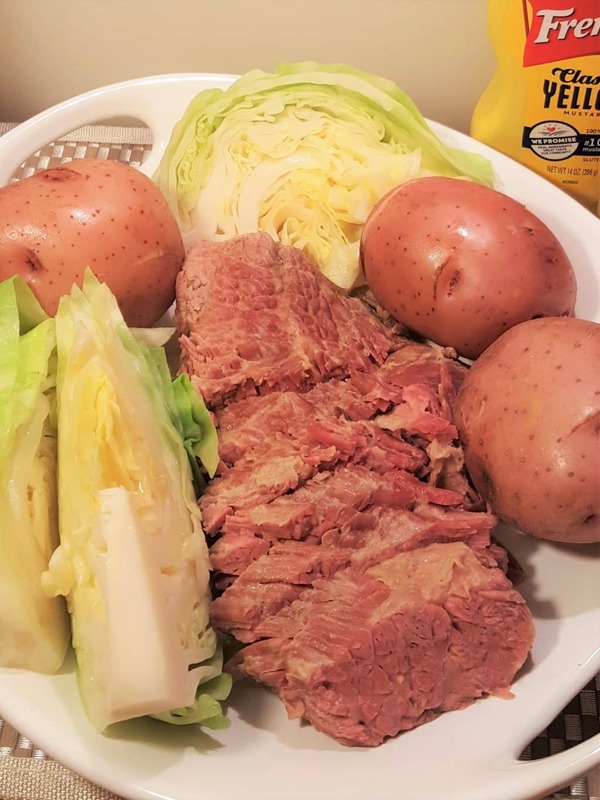 My Instant Pot Corned Beef and Cabbage recipe is very similar to Instant Pot New England Boiled Dinner, but does not include a slew of root vegetables and definitely not beets! Perfect for St. Patrick’s Day! Instant Pot New England Boiled Dinner is the most delicious and the quickest way to make this Vermont traditional meal. No more pot on the stove to make sure water did not boil over!!! Just Take Me To the Best New England Boiled Dinner Recipe Ever! Another delicious vegetable that would be great as a side dish is my Low Carb Brussels Sprouts Alfredo Sauce. It’s creamy and pairs nicely with corned beef. 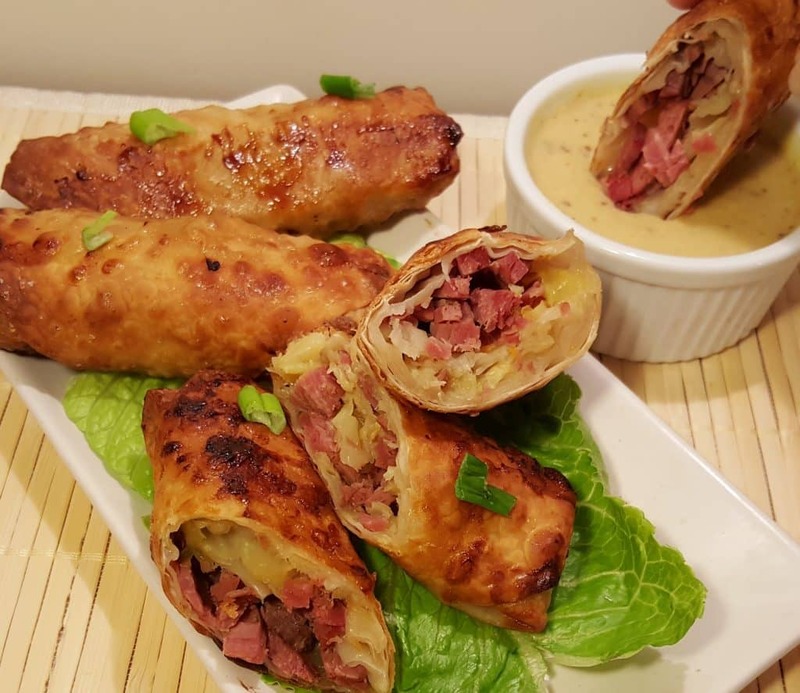 Egg Rolls, totally, seriously, you must buy extra corned beef, just to make my Air Fryer Pub Style Corned Beef Egg Rolls with White Wine Brandy Mustard Sauce, the next day! These are truly amazing! Thousand Island dressing makes a nice dipping sauce too for a Reuben egg roll. Reuben sandwiches. So much yum here. Rye bread, corned beef, cabbage and Thousand Island dressing. My famous Instant Pot Reuben Pasta. Wait until you taste all the deliciousness. For a change of pace, try my Pressure Cooker Corned Beef with White Wine Brandy Mustard Sauce. It is quite delicious and the White Wine Brandy Mustard Sauce is great to toss over your eggs the next morning. Remove Excess Salt – Parboil! Traditionally, if cooking on the stove, the corned beef is first put into a pot with water and simmered for about five minutes. This is the way I have made this since I was a child. The meat will shrink a lot! How Much Corned Beef to Buy? Corned Beef is a fatty cut of meat. which has been cured with salt. The corned beef will shrink quite a bit after the parboil stages, so plan on buying about double the amount. The parboil stage in the Instant Pot, Mealthy MultiPot or Pressure Cooker will quickly remove the excess salt and the nasty scum. Yuk! You will need to rinse out the pot and remove the scum and add the corned beef back to a clean pot. Corned Beef is a very fatty cut of meat. When doing a quick parboil, much of the fat will loosen and scum will be released. The final cooking water Instant Pot New England Boiled Dinner will be clear and scum free. As corned beef is a cured brisket, parboiling helps to release the excess salt from the curing process. For the Instant Pot, Mealthy MultiPot or Pressure Cooker version, the salt and scum quickly is removed. Another recipe where parboiling to remove impurities, like scum is my Instant Pot Vietnamese Spare Ribs. 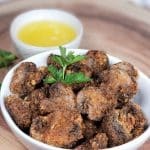 It is a quick method and preferred over soaking the meat or bones for hours. This same process is used in my Instant Pot Vietnamese Pho recipe. Pho is a noodle soup. 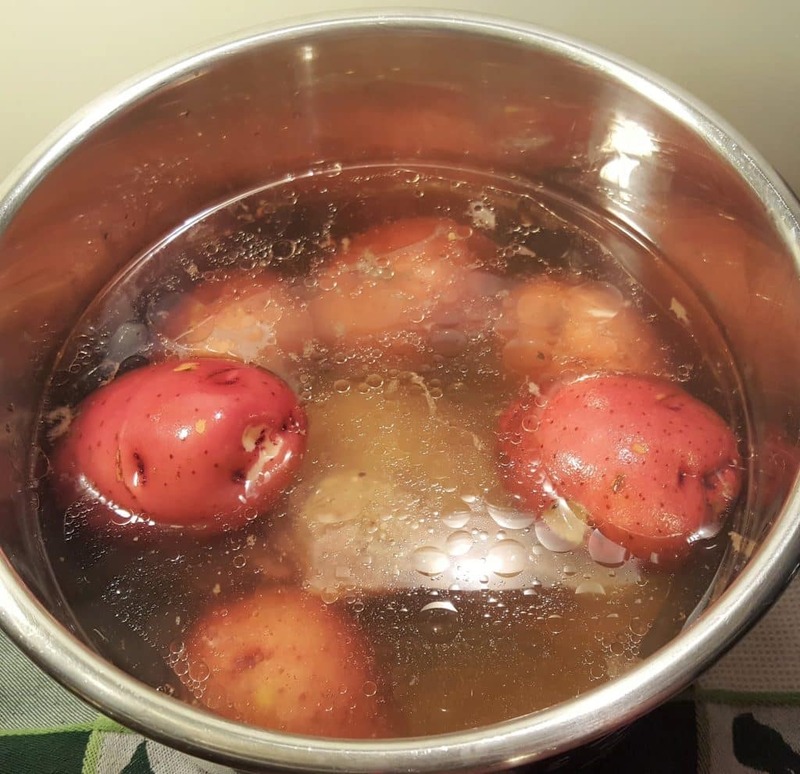 How to Season Instant Pot New England Boiled Dinner. The pickling spices add goof flavor and peppercorns and whole cloves are enough to give great flavor. The flavors of all the vegetables combined makes this a wonderful meal. For Instant Pot New England Boiled Dinner, an 8 quart (or larger) Instant Pot, Mealthy MultiPot or Pressure Cooker is preferred since there are a lot of veggies to be added. What Vegetables go in Pressure Cooker New England Boiled Dinner? Use whichever veggies you like. I generally skip the beets, but it does color the water nicely, along with the other veggies. If using a 6 quart Instant Pot, Mealthy MultiPot or Pressure Cooker, just add the veggies in the liquid and add the cabbage right on top. 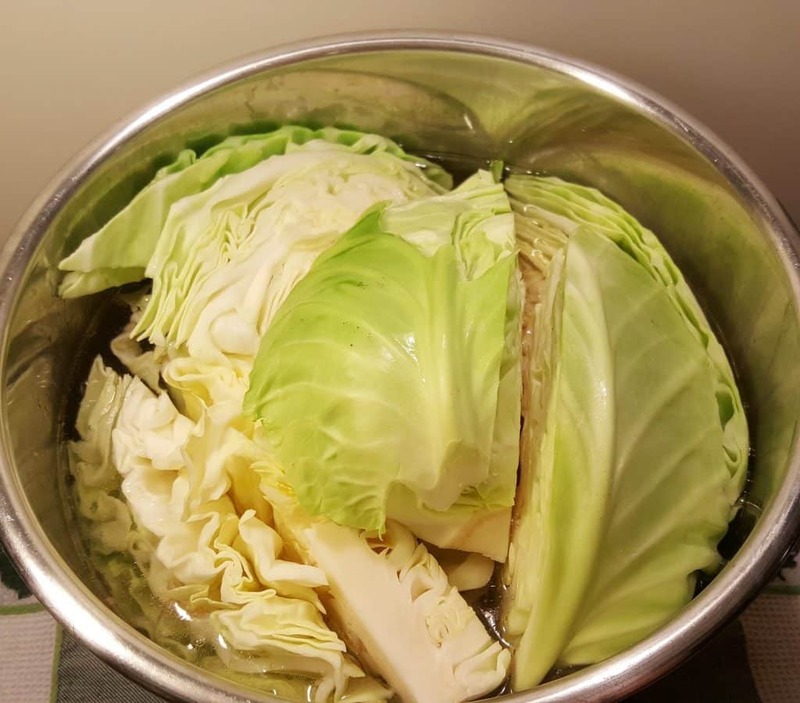 Keeping the core on the cabbage in tact, will help keep the cabbage together during pressure cooking. 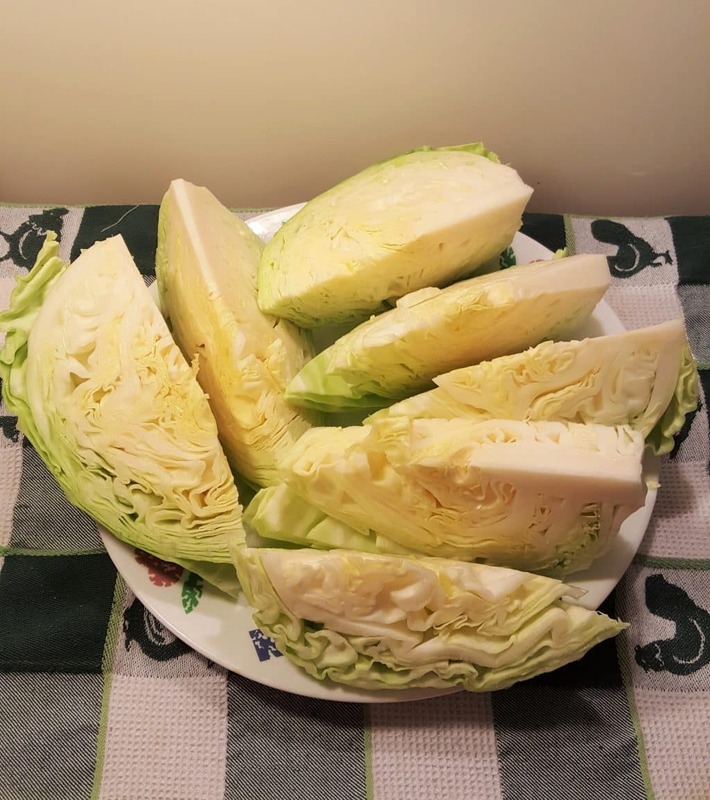 You can also cook the cabbage after cooking the root veggies since cabbage cooks so quickly. 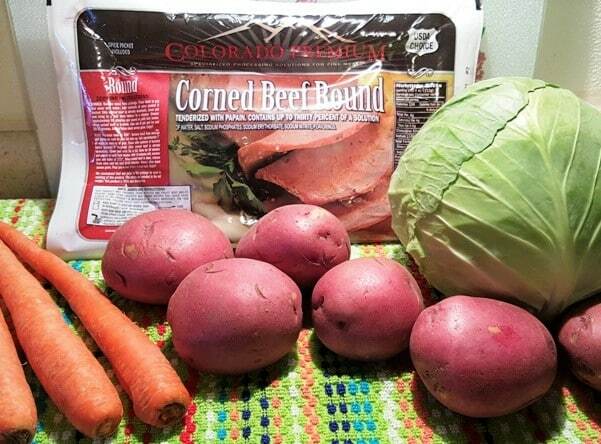 If you are only using a few potatoes and a small cabbage, you can leave the corned beef in the pot, if you like. Since the liquid is already screaming hot, you won’t need much time for the turnips, rutabaga, carrots, potatoes and cabbage to cook. As you can see, my 6 quart Instant Pot, Mealthy MultiPot or Pressure Cooker is more than large enough to use a big ole head of cabbage! 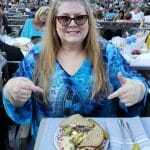 Don’t forget to make extra as Corned Beef Sandwiches on Rye Bread is the bomb. Plus, I have a fabulous Air Fryer Pub Style Corned Beef & Cabbage Egg Roll recipe for your leftovers. 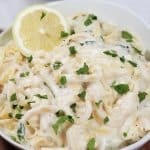 The full and complete recipe is found below on the Recipe Card. Remove pickling packet (or scrape picking spices off of corned beef) and rinse under cool water to remove the slime and excess salt. Remove pickling packet and place Corned Beef into pressure cooker cooking pot and add just enough fresh water to cover the corned beef. Lock on lid and close pressure valve. Choose LOW PRESSURE and set pressure time to "0" minutes. When Beep sounds, wait 5 minutes, then release the rest of the pressure. Drain the water and remove corned beef from the cooking pot. Wash out any scum and return corned beef to cooking pot. Place corned beef, onion, pickling spices, peppercorns and cloves into cooking pot. Pour in enough water to cover meat. Add bay leaf. Lock on lid and close pressure valve. Cook at high pressure for 65 minutes. When beep sounds, wait 15 minutes and then release the rest of the pressure. Remove corned beef to a dish and ladle on a scoop of braising liquid. Cover corned beef and allow to rest. Add all vegetables in order listed, to cooking pot, with cabbage to go in last. Cabbage does not have to be immersed in liquid. Lock on lid and close pressure valve. Cook at high pressure for 4 minutes (see notes). When beep sounds, slowly release the rest of the pressure. Slice corned beef against the grain and place on serving platter with vegetables placed all around. Ladle a little braising liquid over corned beef. Turnips and rutabaga need to be cut smaller, as they take longer to cook than potatoes and carrots, so make sure to cut them no bigger than 2 inches. If following a low carb, keto diet, use skip potatoes and carrots and use whole radishes, if you like. 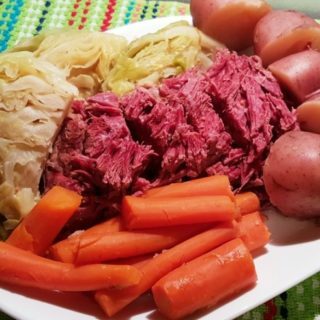 PIN this Pressure Cooker New England Boiled Dinner (Corned Beef and Cabbage)! 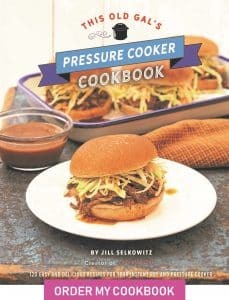 Hi Jill, just wondering what pressure you used for the 75 min. cook time? Is your pressure cooker electric or stove top? For an electric pressure cooker, the meat or manual button is good. My pressure cookers go from 9 PSI to 15 PSI and fluctuate during the cooking. I would not keep it at 15 PSI the entire time. You should do okay with about 12 PSI. Hi, it’s a stove top so I have either 8 or 15 (Fagor). Maybe 60 min. at 15? Gary, that sounds about right. Hi there, I just made this for dinner and it was perfect! The corned beef almost fell apart as I was dividing it up! It was fabulous and a hit for the whole family! Thank you! I have no comment yet. Haven’t seen the recipe. Other than say thanks. The meat was tender and cabbage and veggies were cooked to perfection. Made this today using a 3.78lb flat cut brisket. It was very good and tender. But was a bit bland compared to my traditional way of making it in my Dutch oven. Do you think if I cut back on the water, it would be more flavorful? Do you do a first boil/rinse when you use the Dutch oven? If not, you could skip the first step to add more flavor. Thanks for the quick reply! Actually I skipped the boil rinse part, since I don’t do that on the stovetop. The only things that I could think of that might cause this are maybe using too much water, or perhaps I over cooked it a little. It wasn’t real thick and was very tender. I’m far from an expert with a pressure cooker, but I’m hoping to figure it out. Another thought, could part of the reason be that the cabbage & potatoes aren’t added till the end as opposed to the last hour or so in the dutch oven? I love how quick it cooks and hear so many good reviews about this recipe, so I’m hoping it’s just operator error! Thank you, for your help! I am making this recipe tonight. I mean as I am typing this. Waiting for the IP to finish the first step. You make it look easy and quick. I can’t wait to see how this turns out. I am also going to buy extra corned beef while it is on sale. 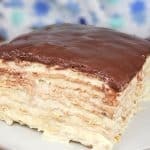 I want to try to other recipe with the white wine and mustard sauce. It looks do good! Oh and to boot my husband just bought an Air Fryer. I am certain he will want to try out the egg rolls! Thanks! I have two 3-pound flat briskets….can I stack one on top of the other to cook? If so, do I need more cooking time or am I good to go stacking and using the she citied cooking time? 5 starts all the way! Seriously delicious. I made it with a can of beer and made the glaze at the end. Do not skip the glaze, I was practically licking the bowl. I must say I didn’t need any mustard, which is odd because I typically love mustard too. I meant to add that I did not parboil it and I’m glad I didn’t, perfectly salted and flavorful. Jessica, some corned beef is saltier than the next, so it is a judgment call. I am glad you enjoyed your meal. Thank you very much. I am very happy that you enjoyed this recipe. Jill, made this tonight. It was very good and I don’t even eat corned beef. I did your recommended parboil to remove the excess salt. How much water do I actually need when I remove the corned beef and put in the potatoes, carrots and cabbage? I ended up removing about 2-1/2 cups but I think I could have gotten away with less water in the pot. I was expecting it to come to pressure much faster than it did since it was already hot, so my timing was off just a bit. I also cut my potatoes in half, which I should not have done. They were just a little overdone. Hubby thought it was great and told me it was a keeper so I will definitely make it again. Thanks for a great recipe. I don’t know if you are reading from this post today, but did I ruin my corned beef? I was only reading the article when I did my parboil and did a quick release. Then I read the recipe instructions. Ugh. I’ve put it in to cook anyway. What else was there to do. I’m hoping for the best, but any input you have would be great. Thanks! Teresa, all will be fine. Enjoy and have a great St. Patrick’s day. I made this tonight and it was a hit! My husband enjoyed it and my picky eater son did also, except for the cabbage. 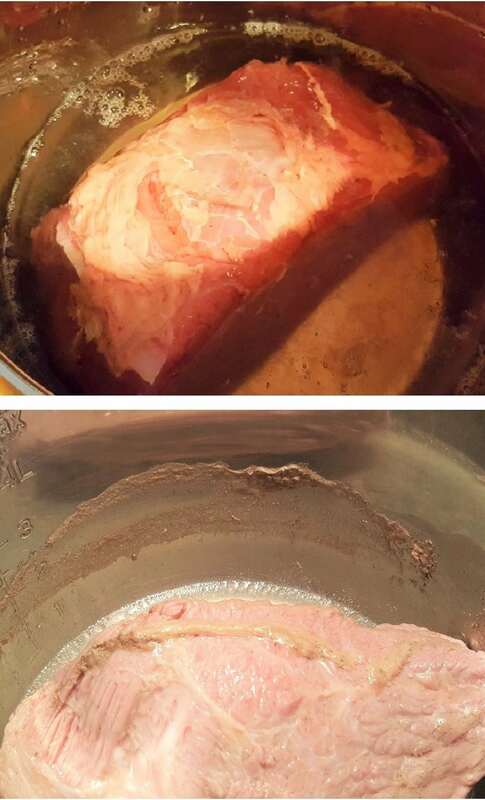 This was the first time I made corned beef. Because of St. Patrick’s day, everyone was talking about it and even though I am not Irish, I wanted to try it. I love cooking and trying new recipes. However, I will put this on my Must Do Again recipe. Next time, I will use less water as the potatoes were a tad too cooked, but nothing major. Thank You! I have read a bunch of corned beef recipes this week and yours was the only one that suggested that you rinse off the beef. It made sense to me so I followed your recipe almost exactly. I cooked my veggies for 8 minutes and they were perfect. We are 1500 ft. above sea level. My compliments to you. Enough left over for Rubens tomorrow night. Thanks. So glad you enjoyed your meal. Excellent! We did a corned beef tip for St. Patrick’s Day 2017. I used a bottle of Black Butte Porter and the rest was water, about up to the 10 cup line. Fork tender and very tasty. I’m not sure we’re going to be able to slice the leftovers for sandwiches – we might just shred it. which cut of corned beef should I buy? Jennie, either is fine. The flat has less fat and is more expensive. My family loved this so much that I am making another one so we can have leftovers. I see Reubens in our future. Hi Jill! I am making this tonight. If I use a bottle of beer, do I just remove that much water from what it states? Or, add it in addition to the water? I just finished making your Greek yogurt for like the 6th. time! And, your berry compote. Thank you for sharing all your recipes with us! 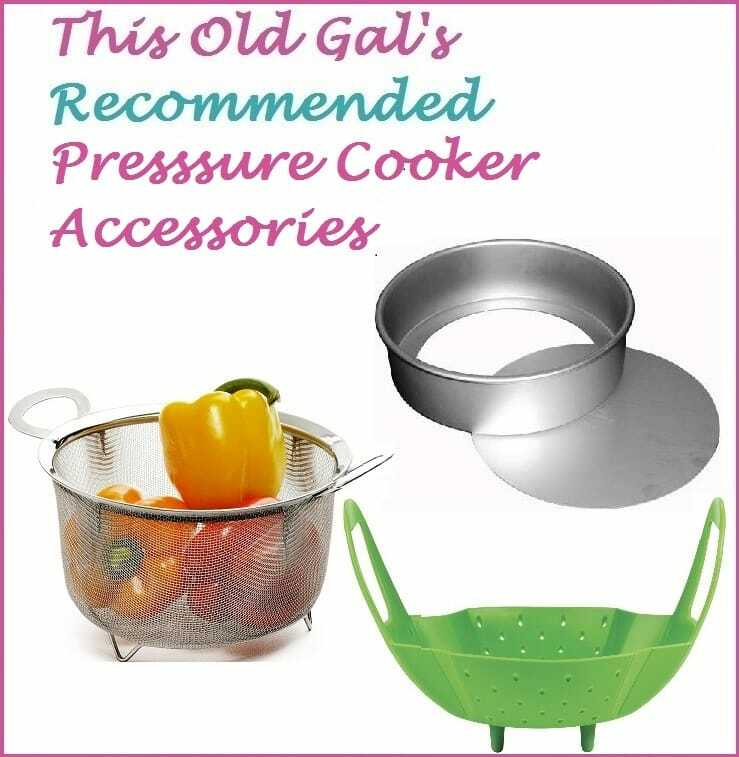 I used to have an old fashioned pressure cooker . Now because of limited space, have a microwave pressure cookie . Would times be the same ?